Moist well drained sites in the understory of larger trees. Fragrant showy blossoms hanging down like little bells attract native pollinators. 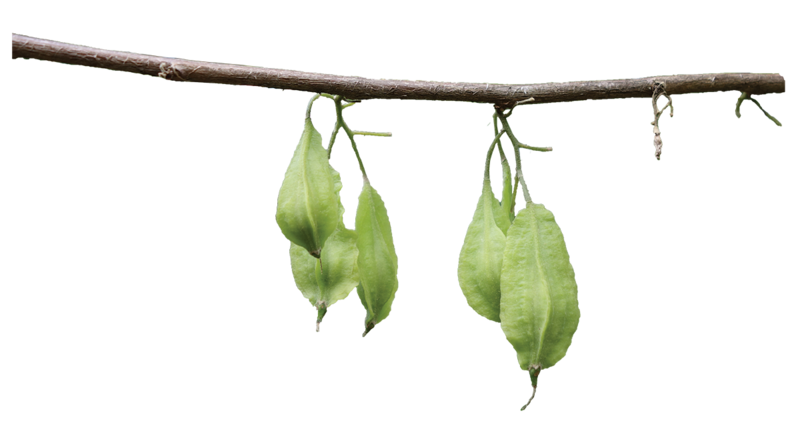 The seedpod when green is sour, but edible by people. Oblong, green, flattened drupe, 1 – 2”, with two wide and two narrow wings; woody, nutlike and brown when mature. 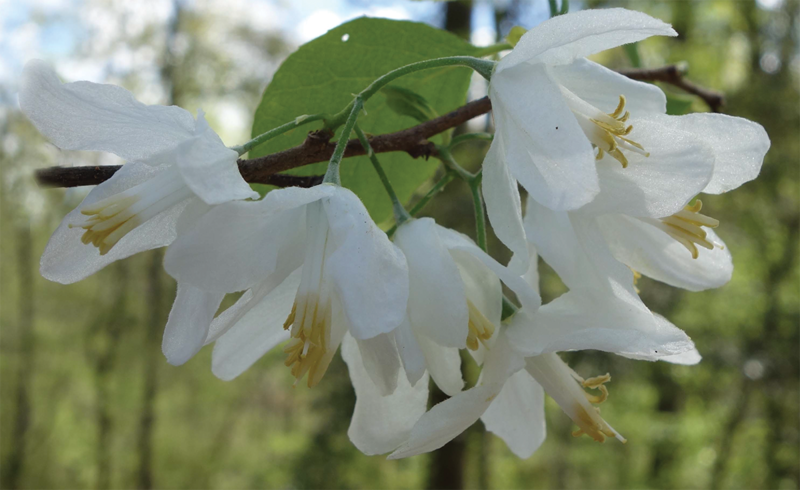 Clusters of two to six waxy, white bell-shaped flowers, 1” across, appear with new foliage in late spring. Flowers attract hummingbirds, bees and butterflies; and squirrels eat fruit.